One of the critical factors to ensure accurate Seahorse™ analysis results are uniform cell seeding density. What happens if seeding is not uniform? Currently, researchers normalize Seahorse™ results using protein analysis assay such as BCA to minimize the effects of non-uniform cell seeding. Protein analysis is a widely used method due to its availability in biological laboratories, however, it is time-consuming, taking usually 45 min to complete. The assay requires multiple steps of washing, lysing, and sample transfer. This can risk sample loss during protocol that may cause variation in final results. The image cytometry method images and analyzes acquired images directly from the wells for QC cell seeding density as well as normalization. High resolution whole well bright field images of the Seahorse™ XF96 plate are captured. The cells in the wells are then identified and accurately counted by excluding the area of the 3 posts. This method only takes 4 seconds per whole-well, 5 minutes per plate for scanning and counting. It can directly count cells without fluorescent labeling for both adherent and suspension cells. Finally, it improves cell count accuracy by excluding the 3 posts area. 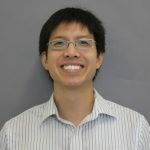 Dr Leo Chan currently serves as the Technology R&D Manager at Nexcelom Bioscience LLC, Lawrence, MA. His research involves in the development of instrument and applications for the Celigo and Cellometer image cytometry system for detection and analysis of cells for oncology and immunology research. He is a member of the American Association of Cancer Research and the American Association of Immunologists. He received his B.S., M.S., and Ph.D. in Electrical and Computer Engineering from the University of Illinois at Urbana-Champaign (2000-2008).